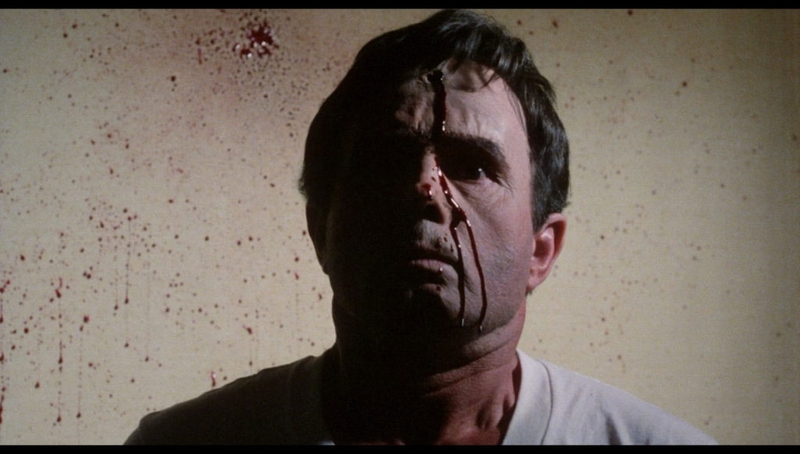 Fans of 80s Horror and Linnea Quigley should rejoice at Vinegar Syndrome’s Blu-ray release of WITCHTRAP, a charming and bloody supernatural throwback. Admit it. When you see the title WITCHTRAP you think of the other Kevin S. Tenney movie, WITCHBOARD. It’s ok to confuse the two; we all have done it and it’s easy to see why. Both movies are made by writer/director Kevin S. Tenney, both have the word “witch” in the title, and both use the same actor to play the supernatural villain, J.P. Luebsen. After releasing NIGHT OF THE DEMONS and WITCHBOARD, Tenney wanted to return to a low budget, studio free, independent style of movie making. 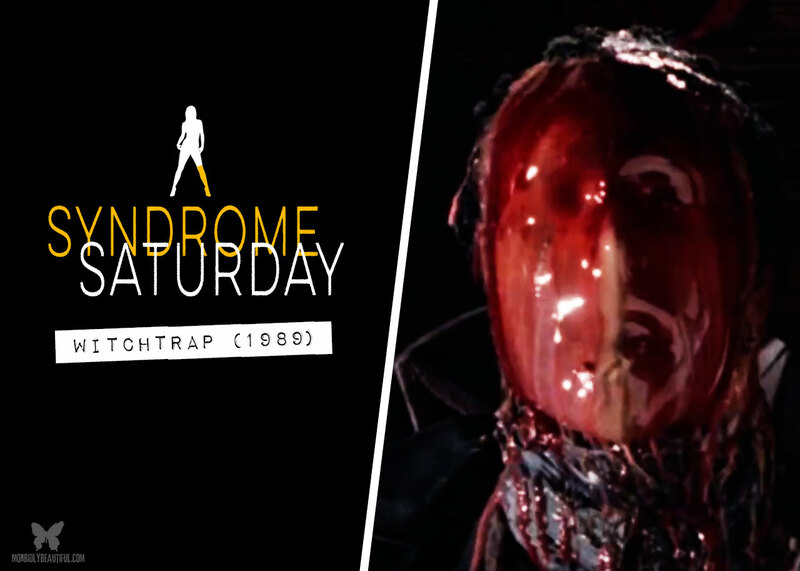 The result of that decision is 1989’s WITCHTRAP. A house formerly owned by an infamous serial killer, Avery Lauter (J.P. Luebsen), who was gunned down by police, is now owned by a descendent of Lauter. Several attempts to inhabit the house have ended in mysterious and violent deaths. Frustrated, because the descendent wants to transform the house into a B&B, he hires a team of parapsychologists and two plainclothes policemen to investigate and exorcise the house. Predictably, things go badly for all involved. WITCHTRAP is slow to get going, but once the deaths start hitting the screen, the gore and mayhem on display in the uncut version is a vision to behold. What pulls the movie down is the acting. It’s hard to tell if it’s the acting on location or the Automated Dialogue Replacement (ADR) voiceover by the actors. During production of the movie, it was found that the sound levels were not set properly to record dialogue, so every actor had to re-record their dialogue in post-production. The draw of this Blu-ray package from Vinegar Syndrome is the incredible amount of special features. Not only are fans getting to see the uncut version of WITCHTRAP, originally called THE PRESENCE, from Tenney’s own 35 mm interpositive, but the disc is loaded with interviews, a commentary track, early Tenney short films, and more. The commentary and interview with Tenney are entertaining and give some valuable insight into what goes into funding and creating an independent movie. If you’re looking for more technical information on the making of the film, this disc has you covered with commentary from the cinematographer and interviews with various crew members. 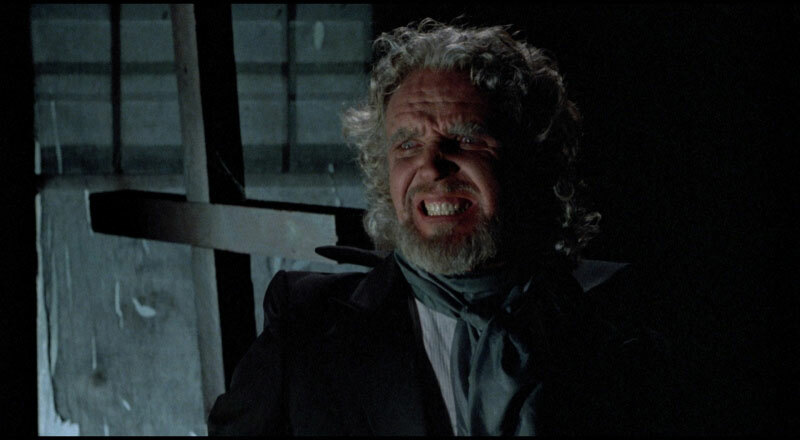 If you’re a fan of 1980s horror — and who reading this isn’t — the Vinegar Syndrome Blu-ray release of WITCHTRAP is a must-have disc for your collection. For more information and to purchase WITCHTRAP, visit Vinegar Syndrome at www.VinegarSyndrome.com.